Welcome to the Hooper-Lee-Nichols House. The original section of this building was built in the late 17th century, making it the second oldest house in Cambridge and one of the oldest houses in New England. From its location on Brattle Street, it has witnessed the beginning of the American Revolution, the birth of the abolitionist movement, the formation of America as an industrial powerhouse, and the counter culture revolution of the 1960s. Like any building that has been lived in for over 300 years, the Hooper-Lee-Nichols House has been changed by its residents over the years and modified repeatedly to meet the style of the day. The house primarily reflects the Georgian Style of the 18th century, although parts of the original First Period construction remain and one can see Victorian and Colonial Revival alterations from later generations. The building was donated to the Cambridge Historical Society in 1957 by Frances Emerson and it has been our headquarters ever since. 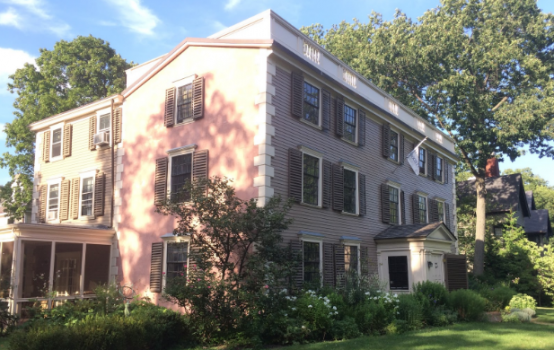 Today the Hooper-Lee-Nichols House serves as offices, an archive, and as a museum on Cambridge history. We encourage you to visit in person. The HLN house has changed hands many times in it’s nearly 330 year history. 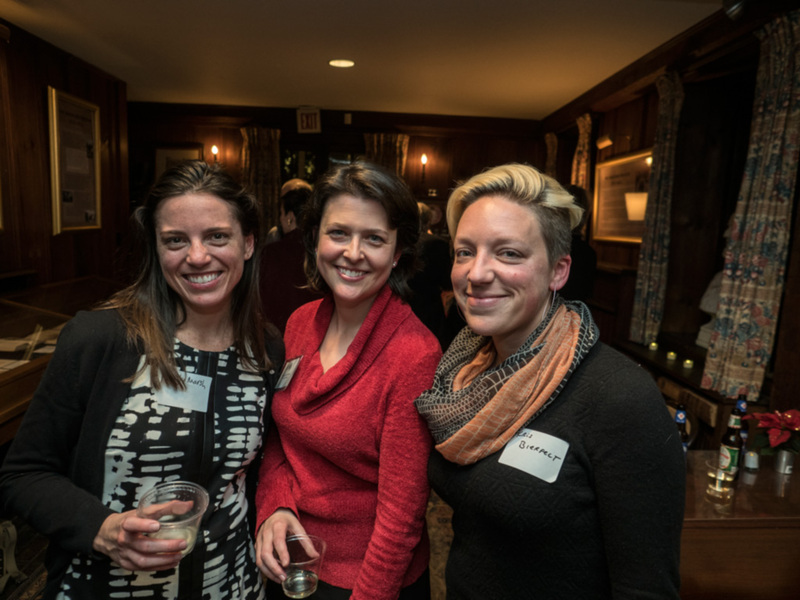 Click on the names of the various owners to learn about the history of the house -and of Cambridge – through their stories. Richard Hooper purchased an eleven acre farm including the land this house sits on, on February 14, 1684, for 45 pounds. He lived here with his wife and two children until he died on December 8, 1690. 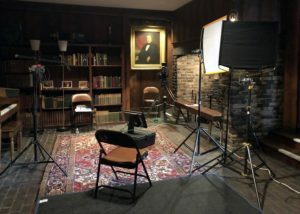 The inventory of his estate included a house that was well furnished with books “beyond a bible,” a barn, an orchard, cattle, pigs, horses, and a servant. Prior to purchasing the land, there is no mention of Hooper in the records of Cambridge or Watertown and it is believed that he moved to the area from New Hampshire. In the intensely insular Puritan communities, being from another colony would have raised some suspicion. He worked in medicine, but in what capacity is unclear. He is referred to as a physician in records of the purchase of the farm, but in a court case he is referred to as a surgeon. These different positions would have placed him in radically different social classes. Soon after Richard’s death his wife, Elizabeth, fell on hard times. In 1691 she petitioned the selectmen of Watertown to keep an inn and to serve alcohol. Within a year she was reprimanded for entertaining questionable guests, and by the time of her death in 1701 the house was virtually empty, lacking even a sheet to wrap the corpse. Was this because the family were outsiders? Because Richard was a surgeon? Or was it just the harsh climate of Puritan New England? Henry Hooper, like his father, was in the medical profession. After the death of both of his parents, respected Cambridge landowner, Francis Foxcroft was appointed to be the executor of the estate. He took Henry and his sister from the house and found Henry an apprenticeship in a Boston apothecary. With training in medicine, Henry went on to become a successful physician and married Remember Parker, a member of a well connected family. In 1716 he reclaimed the property, paid the outstanding debt on the estate and made significant additions to both the house and the property before selling the estate in 1733. His sister Hanna did not do as well. By the end of her life, she was destitute. When she died, Watertown offered four pairs of gloves, six quarts of rum, a coffin, and a grave to anyone who would bury her. Usually described as a Boston merchant, Waldo bought the house from Henry in 1733 and owned it for the rest of his life, although there is no record of him having lived in the house. He made a number of improvements, including casing of exposed beams, and possibly added paneling and moldings in some rooms. In 1742 Waldo placed a “to be lett” advertisement in the Boston Newsletter for a “house with gardens and other accommodations to a gentleman for a country seat…” His widow sold the house in 1758. Born in 1710 or 11, the records of his Harvard class of 1729 describe him as “one of the more disorderly members of a quiet class.” Like others of his time, he was a merchant, and a land speculator. He married the youngest daughter of Lieutenant Governor Spencer Phipps in 1755 and three years later bought the Brattle Street house. In 1769, he was appointed to the Court of Common Pleas, but when considered for a permanent appointment was rejected as being unfit. Lee was elected to the House of Representatives, but was denied reelection in 1766. He then accepted an appointment to the most controversial and reviled governing body in the colony, the Mandamus Council, a group appointed by the king in 1774 to replace the elected officials. However, when citizens gathered to protest against this council, Lee resigned. Following the Battle of Lexington and Concord, Judge Lee sought protection in British-held Boston and then later in Philadelphia and New Jersey. However, unlike the other Cambridge Tories, two years later he was back in Cambridge, reclaiming his house after the departure of the Continental Army. He lived out the rest of his life in Cambridge and worked for the new American government. Judge Joseph Lee died childless, leaving the house and farm to his nephews, Thomas and Joseph Lee. Thomas, an affluent merchant who had made a fortune as a master mariner, bought Joseph’s portion of the property. In 1803 Thomas Lee built a mansion for his family at 153 Brattle Street on part of the farm’s acreage, and rented out the house. In 1808 he sold the house. John Appleton was a merchant in Salem and in the 1790s served as a consul to France at the port of Calais. His Continental experience involved a liaison with an English woman with whom he had two sons. Leaving her in England, John brought his sons back to Massachusetts, and in 1807 he married Sarah Fayerweather. Appleton used part of the property to build a new house for his family. In 1810 the Appletons moved into 163 Brattle Street. In 1814 he subdivided the land and sold the old house. Benjamin Carpenter was a retired ship captain from Salem in the China and East India trade and a friend of both Joseph Lee and Thomas Appleton. He had been a privateer in the Revolution. When his second wife died he married Deborah Lee Austin, the daughter of Thomas Lee. Benjamin and Deborah were married only two months before Benjamin died, leaving the house to Deborah. She returned to her father’s house and let this house out. George Nichols was born in Salem in 1809 to a merchant and ship master. He graduated from Harvard Divinity School in 1828. In 1833 he and two partners bought the (Harvard) University Press. Along with James Monroe, he bought the (Harvard) University Bookstore in 1847. Nichols also worked as a proofreader appointed by Harvard President Josiah Quincy. He edited the works of Burke and completed a five-volume edition of the papers of Charles Sumner. George Nichols married Susan Farley Treadwell in 1834. In 1850 the Nichols family returned to Cambridge, moving to 159 Brattle Street, which they eventually purchased from the estate of Deborah Carpenter in 1860. Together George and Susan Nichols had five daughters: Susan, Lily, Harriet, Lucy, Mary; and one son, John White Treadwell Nichols. George Nichols died in Cambridge in 1882. According to Mary Gozzaldi, Susan Nichols had a fondness for children. She formed the Constellation Club where neighborhood children came to stargaze and socialize. 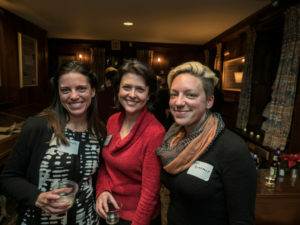 The house also served as host for several meetings of the Bee, a local young women’s sewing circle, of which Lucy and Mary were founding members. Following Susan Farley Nichols’ death in 1892, the house was left to her children. They subdivided the property and sold the house to Henry Lee, a descendant of earlier owner Joseph Lee. For the price of one dollar, Henry Lee may have saved the Hooper-Lee-Nichols House from demolition. In September 1892, following the death of Susan Nichols, the Cambridge Tribune reported that the property was to be sold, with the house to be “taken down…much of the wood-work being decayed.” Nothing further on the matter of demolition was reported, but in April 1893 Boston merchant Henry Lee, a descendent of Judge Joseph Lee, was recorded as buying the property for one dollar. And in November, Susan Nichols Carter wrote from New York to Lee that “it has been a great satisfaction to me, as well as to members of our family, that…[the house] has been returned into your hands, as having a hereditary regard for it.” He owned the house for twelve years and left it to the Nichols family – for the original price of one dollar. Upon his death in 1898, probate records indicate that Henry Lee left the house to John White Treadwell Nichols, who received it in 1905. Living in New York, he rented it to his sister Harriet Nichols Lamb. She lived in the house with her son Charles Lamb, his wife, and their two daughters, Harriet and Frances, until Nichols sold the house to his nephew, Austin White, in 1916. Austin and Amelia White purchased the house in 1916. The grandson of George and Susan Nichols and a successful mining executive, he bought the property “not for his own occupancy, but…largely for sentimental reasons.” He had been born in it, grew up in it, and perhaps wished to rescue it. He hired the well-known preservation architect Joseph Everett Chandler to enlarge and remodel the house “in order to embody all the requirements of comfort of a modern family in the neighborhood.” One reason was clearly preservation; a second must have been to render it equal to the other houses on fashionable Brattle Street. White, a member of the Bostonian Society, further demonstrated his identification with the property and its historic significance by placing a bronze plaque on a gate post, which designated it as the Nichols House and dated it, incorrectly, to a quarter of a century earlier than it had actually been built. Frances Emerson, the daughter of noted financier William August White, was given the house as a Christmas present from her father. Legend has it that she found the deed to the house in the toe of her Christmas stocking. Her husband William was an architect, and to document the historic building, William had measured drawings made in 1932. He served as Dean of MIT’s School of Architecture from 1919 to 1939, overseeing much educational innovation and introducing courses in City Planning. Francis and William died in 1957, and she left the house to the Cambridge Historical Society, which has owned it since. This room and the Naples Room above are the two oldest in the house. Our recent dendrochronology dates the main support beam below this room to 1685. At that time this room would have looked very different. It was most likely built in the First Period style, with exposed beams featuring decorative cuts. Richard Hooper, his wife and two children lived here until he died in 1690. Soon after his death, his wife, Elizabeth, fell on hard times. By the time of her death in 1701, the house was empty, lacking even a sheet to wrap her corpse. Following Elizabeth Hooper’s death the house was left empty for 15 years. In 1716 the house was reclaimed by Henry Hooper, the son of Richard and Elizabeth. He may have replaced part of the termite damaged structure of this room. The room was updated in the Georgian style in the 1700s. Our paint analysis has shown that this process happened in multiple stages. It is likely that the first changes were made by Cornelius Waldo who advertised the house for rent as a country seat for a gentleman. Waldo sold the house to Joseph Lee in 1758. 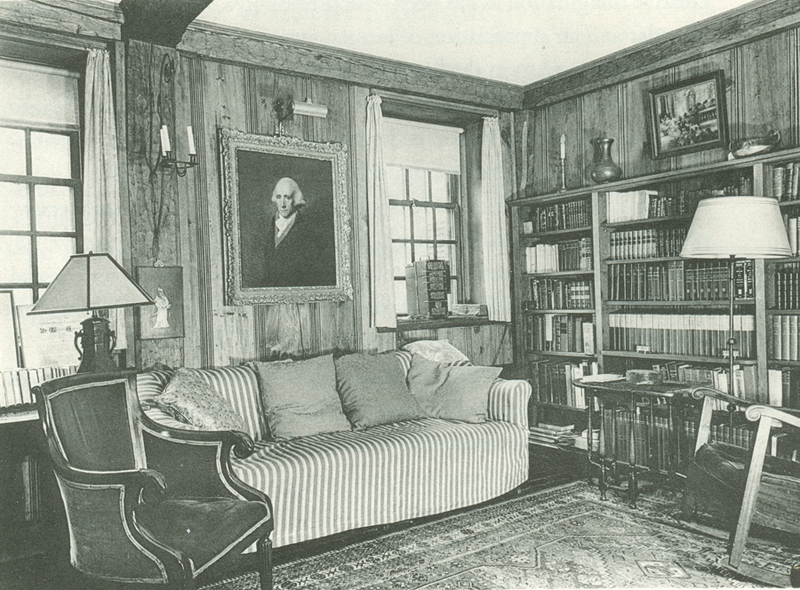 Lee completed the Georgianization of the room, adding such features as the furred out walls and window seats. The most notable feature of this room, the wallpaper, was installed in 1856 by George and Susan Nichols. The paper was printed by the leading Parisian scenic wallpaper company, Joseph Dufour et Cie. It depicts scenes of the Bosphorus in Turkey and was installed to match the earlier wallpaper on the second floor. Our exploration of the room has revealed some curious facts. The oak structure behind the south and west walls shows First Period details one would expect. However, the structure under the north and east walls are made from the pine wood and does not show the expected decorations. These structural beams have been covered since the middle of the 18th century. Why they don’t match from one side to the other is a mystery. 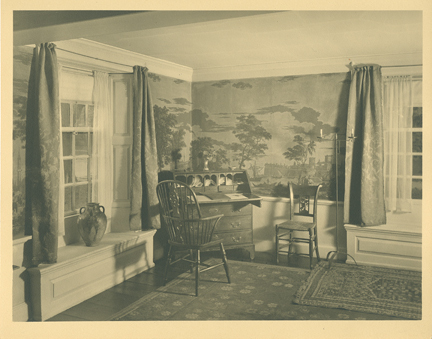 Chandler planned the room to represent the house’s earliest Colonial architecture, much of which in the front part of the house had been covered by later remodeling. He retained the long, narrow shape of the lean-to, laid down a brick floor when he found original bricks under nineteenth century flooring, and repaired the huge fireplace, whose chimney stack may date from 1717. The room’s massive corner posts are copied from those in the East Chamber, the roughest in the house but also the only ones never cased. However, Chandler exaggerated the crudeness of the beams, leaving adze marks where the originals were carefully smoothed. The dark, beaded wood paneling, small windows, heavy posts and primitive woodwork are signature elements of an early twentieth century Colonial Revival style room. As such, it is a better example of the sophisticated taste and restoration philosophy of that period than of the vernacular Colonial on which it was based. Now it is itself a period room. This room is one of the most fascinating in the house. Remarkably, some of the First Period features are still clearly visible. The summer beam, the large central beam supporting the room above, has a beveled or chamfered edge that comes to a decorative lambs tongue stop, classic features of First Period architecture. Exposed, decorated structural beams were often covered as a more finished look came into style. For a house that has been on one of the most stylish streets in Cambridge for at least 250 years, the fact that this room has not been changed much is surprising. The chimney girt, the beam that the summer beam connects to above the fireplace, has been cased in the Georgian style and other features of the room have been changed. Joseph Chandler made few alterations to this room. He installed the tiles around the fire place and built out the northwest portion of the room for a bathroom, however, a number of elements, including the front girt and summer beam are intact. Our paint analysis found the same layers of paint on the exposed beams, which suggesting that they were not covered in the past and then uncovered during a Colonial Revival renovation. This room and the room above were probably built as a separate house and brought here. Compared to the Bosphorus room, the dimensions are different: ceilings are lower and the room is not as wide or as deep. The wall containing the arched doors divides the room and creates a small area, today used as a pantry. The small space could have been a chimney and stairwell bay. A review of the existing records suggest that this was a house that was brought here by Henry Hooper in 1716 or 1717 when he reclaimed and expanded his parents’ house. Supporting this theory, our probes of the building show that the beams under the Georgian casings display First Period characteristics. As in the rest of the house, this room has been altered in multiple campaigns. Its earliest alterations show it being refashioned into the Georgian style and used as a kitchen. In the second alteration, the south wall was furred out to create window seats that match the Bosphorus room. At that time the cooking was shifted to the back of the house; soon after the arched door was installed. Additional alterations include the federal style mantle. Structural evidence suggests that the east side of the house was moved here and joined to the west side, already on the site. But we still do not know which is the older. We hoped a recent Dendrochronology study would answer these questions, but only one of the three samples was datable. Taken from the west side, it dates to 1685. This room, part of the original 1685 house, has undergone repeated remodeling. Henry Hooper (owner 1716-1733) or Cornelius Waldo (owner 1733-1758) redecorated it in the Georgian style, in vogue at the time. The room’s First Period features were covered with casings and the window openings were made symmetrical to give them a more formal appearance. These alterations changed the room from a simple to high style, suitable for a wealthy physician or country gentleman. Probably around 1717 the plain board paneling at the fireplace wall was updated by applying a grid system of thin boards to resemble expensive Georgian raised wall paneling without incurring the cost. This faux paneling is believed to be unique in New England. Judge Joseph Lee modernized the room by plastering over the faux paneling and installing figured wallpaper throughout. Samples of this paper have been recovered and date to between 1760 and 1780. Lee also probably took advantage of new techniques and reduced the size of the fireplace, allowing it to throw more heat into the room instead of up the chimney. The wallpaper, printed by Joseph Dufour et Cie in Paris in the early 1820s, depicts the Bay of Naples. It was the height of style when it was printed. In 1916 owner Austin White hired architect Joseph Everett Chandler to update the room in the then fashionable Colonial Revival style. Chandler’s alterations were restrained; he added a molding and “fine old Dutch tiles” to the fireplace surround. The Cambridge Historical Society installed a movable panel to enable visitors to see the fire place wall’s earlier treatment. Once again visible are the ghost lines of the circa 1717-1742 faux paneling, formerly hidden by the wallpaper. A central unanswered question about this room is who installed the wallpaper and when? It was printed between 1820 and 1825. Benjamin Carpenter purchased the house in 1814 and married Deborah Carpenter in 1823. They were married only two months before he died and Deborah moved into her father, Thomas Lee’s house. The wallpaper was first mentioned by the Nichols family, who moved into the house in 1850 and found the wall paper. Was it installed by Deborah Carpenter, who lived in the house such a short time, or by a tenant who left it behind?